Born in Quebec, in the Laurentians about 1 hour north of Montreal, I was raised by a lake, with a bunch of cats and one brother! Until I left Canada at the age of 22, my only language was French. English was taught in school as a second language, but I never was very good at it. When I finally flew out of the nest, I ended up on the island of Dominican Republic working as a scuba diving instructor. The struggle that first hit me was that my customers were pretty much all English speaking, and my coworkers all Spanish speaking! English I could get by, but Spanish I had never even heard it before! In no time, I was fluent in English and quite good in Spanish. Now you know where the accent in my writing comes from. From there, I became one of those Scuba Diving Instructor wandering the world and just having a great time! After the Dominican Republic I lived in Jamaica, Mexico and the Cayman Islands. I have also visited many other islands and countries. 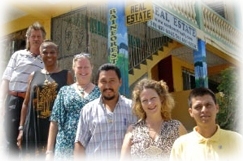 September 2006 to July 2009 was spent in Belize, building this awesome property, which is what this blog is about. My husband and I have now returned to Canada and are living on the east coast. Very different after not seeing snow for 24 years! Toys that have wheels and an engine… getting dirty!!! October 2006 crossing Barton Creek in Belize. As always, home is where the heart is. Like I said at my other Reply, you have to take time to write a book about your experiences. I am about to permanently move to Unitedville, Cayo – (My husband lives there now) Our place is where Big Barton Creek empties into the Belize River (not far from 3 Flags – downstream from Cesers). How far away from there do you live? Are we Unitedville neighbors? I appreciate your info about Internet hook up as that is my next task. When I get to Belize in June, I hope we could meet with you. Our place to Unitedville is about 40 min. drive, but that still makes us neighbors as there’s not much in between! When you get here, do get in touch and we could meet! Ton site est très intéressant. On dirait que tu es une journaliste décrivant son entourage en pays étanger. Ici Lucien C’est trés interessant de te lire, tu as même vécu à Montréal nord avec mes filles, Monique et Carole. grace à toi Monique t’a suivi au Cayman et elle travaille toujours de chez elle pour le Cayman. moi avec mes 82 ans je ne pourrais plus marché le seven miles beach, c’était le fun d’aller jaser avec toi. J’espère que tu vas écrire un livre sur ton vécu car il y a de l’argent à faire, j’aimerais le lire avant de mourir. I’m in a hurried that you sell your property to return to your source. You forget to talk about your parents and your youth. I can help you to translate your blog in french at anytime. I am proud of you and I give your blog to my french people and I thing, they are discourage to read all your text they don’t understand nothing. Nice, smell delicate I enjoy it a lot! Your blog is supremely informative. I am picking up gems every day. I note here that you say you drove yourself to Belize in your Toyota pickup. Do you recommend that trip as an alternative to having your things shipped and flying there? I wonder about the safety of driving through Mexico. What is that trip like? I would be coming from Brownsville TX right around the coast of the Gulf of Mexico so it might be a shorter journey than coming from Vancouver. First, I want to say congrats…what you have done inspires me to do the same. 1.) How much money did it take to do this, (start to finish)? 2.) What type of income do you live off, and what is it that you do? This may be a little too personal so if you don’t want to answer I understand. When you brought things or paid workers did you pay in US dollars or Belize dollars. I am worried about keeping money and how to protect it. You can answer privately if you want. My husband worries about getting robbed and is afraid to put it in banks there. We usually use BZ dollar. But US dollar is accepted everywhere, so it really does not matter which currency you use. And the conversion being $2/$1 makes it very easy! The banks in Belize are just fine. As for worrying about being robbed, it is always a smart thing not to carry large amount of money, and that is not just in Belize, but pretty much anywhere in the world. Hey there Tropicat – love your blog! It’s great to see how much you guys have done and learned and blogging is such a great way to journal it all. I just sent an email direct in regard to your property, but want to add my affirmation of you and your blog record. I guess I did the “responsible adult” thing first and am now ready and able to do that which I would have done years ago if able. 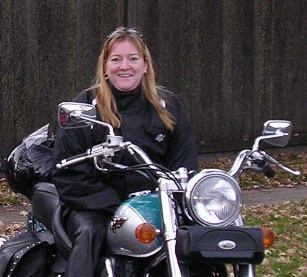 I know your “home” town as I lived in VT for years and traveled the roads north of Montreal quiet often. I miss the french fries with gravy. May Belize never leave your soul. By the way that poisonwood tree encounter about did me in. Steroids saved me. Body was covered with blisters. I too miss the french fries with gravy, and with the cheese, which is called a Poutine! Belize has been wonderful, and still is, even if there are things like the Black Poisonwood. I am amazed at how many people get burned from them. Belize will always be in our soul, it’s been such a great, learning and enriching experience! Just had a quick look around your blog (got it off of Belize Forum) and wanted to say THANKS! There is some great info in here. We have travelled to Belize twice (we fell in love with it the first trip) and plan to retire there (eventually). Hi, We are looking to move to Belize next year and are interested in your place. Do you have more pics and info? Like how much are property taxes? Is house big enough for a couple and 2 daughters ages 10 & 12? Are the other houses rented out or are they in need of repair? How far to coast, town, ect. We are going to be in Belize Aug 11 to 23 this year and would like to see your place if possible. Really enjoyed reading your writings, particularly the construction article; it was like reliving the process! what area do you recommend people with young children relocating to? What is safest? Is home schooling the way to go? I’m really enjoying reading your posts, esp. the ones of your cats (I have 2) and the construction since hubby is a contractor here in the US. I’m looking to relocate within the year. Why did you move back? Did you sell your place? What do you think about Placencia or Corozal? We’re thinking of partnering with someone in a B&B or lodge. Any tips? Thanks so much! I don’t know Placencia or Corozal very well. My best tip is to go visit those areas and stay a while to have a feel of the place. Both are very different.